When it comes to the Amazon Prime Day sales, a frequently discounted staple is the company's line of Fire tablets, Fire TV sticks and boxes. Both sets of devices are both already relatively cheap—the Fire TV Stick is $39.99 while Fire 7 tablet starts at $49.99—but Amazon's "Black Friday in July" event is a particularly good time to find deals. Here's what you should know about the company's latest line of tablets and TV devices. Pro: Full HD display, faster processor, more storage (32GB or 64GB), stereo speakers, ability to summon Alexa using just your voice even if the screen is off or the device isn't plugged in to turn this into an "Echo tablet"
When it comes to Amazon's tablets you really are getting what you pay for. While the Fire 7 for less than $50 seems great, even for basic tasks like Netflix or browsing the web it pales in comparison to a more powerful Apple iPad. But if you are buying it or the Fire HD 8 and hoping to find an will be an "iPad replacement," you will likely be disappointed. Out of Amazon's entire line, the Fire HD 10 is most powerful and capable. With its sharper, full HD screen, quad-core processor and higher storage it was already a compelling deal at its regular price of $149.99 and is the Fire tablet people will be most happy with. At $99.99 on Prime Day for the "Special Offers" version, that deal becomes even better. How does it compare to the iPad? With a sharper screen, better apps, nicer software and a more affordable $329.99 starting price (or even cheaper if you are willing to buy the 2017 model), Apple's tablet is still the best you can buy. But if you're looking to save money and are mainly using your tablet to watch videos and browse the web Amazon's Fire HD 10 for $99.99 is tough to beat. Amazon's answer to Google's Chromecast and Roku has become a popular Prime Day discount item. The devices, which add a variety of apps and streaming services to your TV including HBO, Netflix, Hulu and Amazon Prime Video just by plugging into your TV's HDMI port, have continued to evolve since their introduction in 2014. One thing to note: There is no YouTube app for Fire TV as Google and Amazon are currently engaged in a bit of a fight. You can, however, access YouTube if you use Amazon's Silk browser or download the Firefox app. Here's what you should know about the latest versions. Cons: Pricey compared to other Fire TVs, the speaker isn't as good as a regular Echo, few apps support 4K HDR content, no support for Dolby Vision. If you're the average consumer, go for the Stick. It's a cheap, reliable way to bring the Internet to your TV. 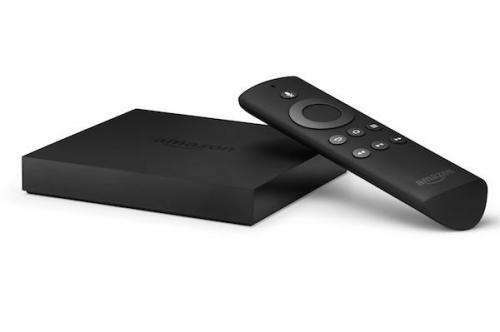 If you're all about 4K and hi-def programming, spend the extra $20 for the regular Fire TV. Amazon has also made it near impossible to root (understandable given the economics of their discount) either device.